The compact infrared thermometers of the optris® CSmicro line have been technically improved and now have even wider applications. “The CSmicro is one of our best-sellers, proven especially in the OEM area many times. Our ambition however remains to also continue to develop the classic sensors”, explains Dr. Ulrich Kienitz, CEO of Optris about the latest product update. In addition, the range can now also be used with the Android App “IRmobile” on smartphones and tablets. The CSmicro LT, CSmicro 2M and CSmicro 3M pyrometers have miniaturized stainless steel heads as well as electronics built into the cable. This allows integration within tight spaces as well as high temperature resistance of the LTH measuring head up to 180 °C. The completely overhauled electronics ensure low signal noise and shorter setting times. The extension of the command list as well as the option for all CSmicro models to be available in two-wire technology with mA-output means the pyrometers can now be used even more flexibly for customer-specific requirements. 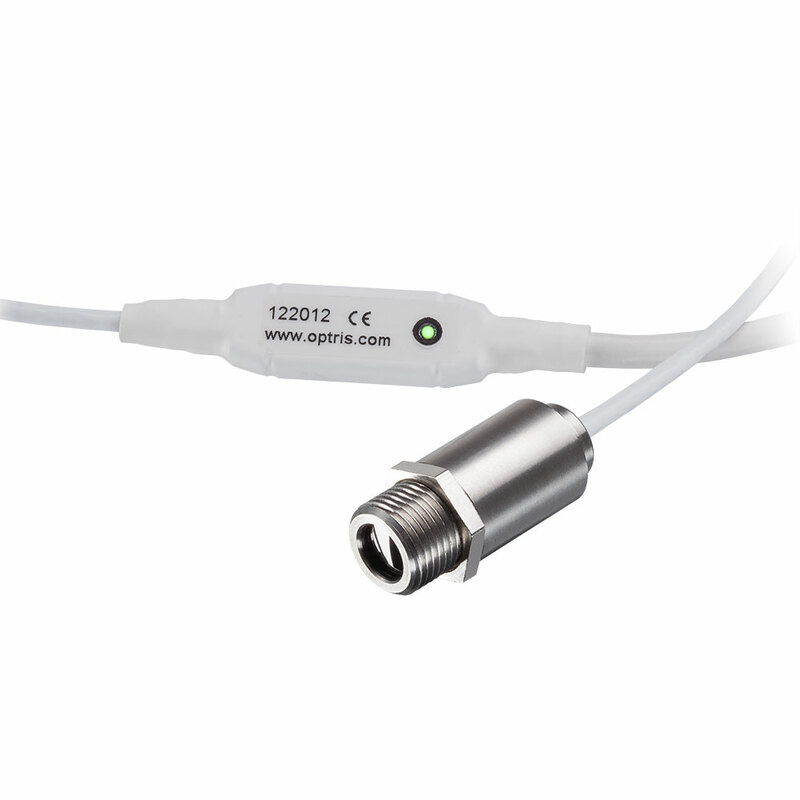 All CSmicro line devices can be used with Android smartphones and tablets via the IR App Connector (USB adapter). The Connector has a micro USB output as well adapters for USB-C and USB-A. 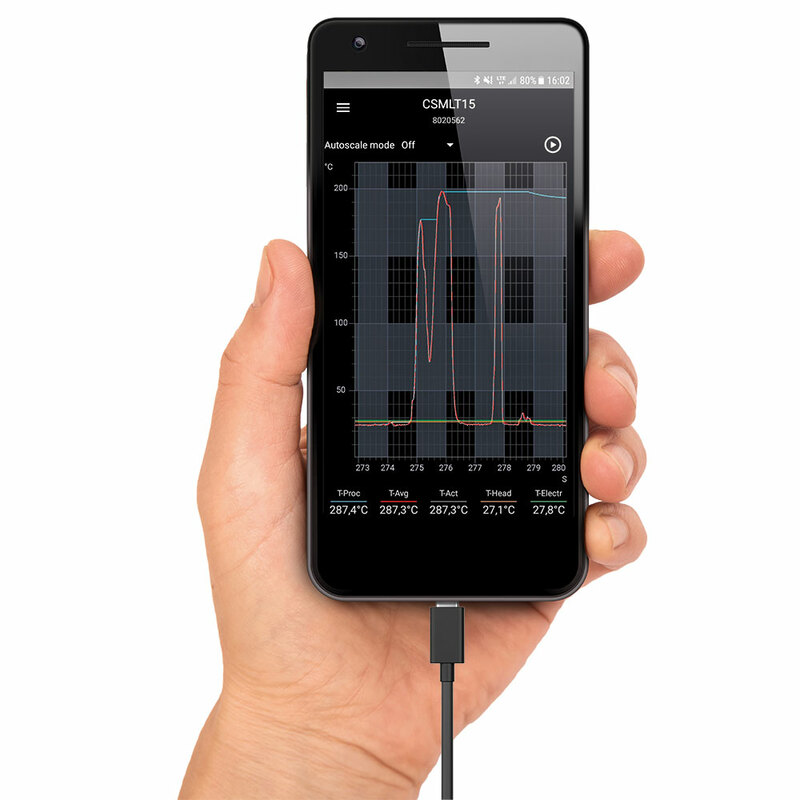 The IRmobile App allows modern mobile programming of the sensors, as well as immediate temperature measurement and analysis. The App can be downloaded free of charge from the Google Play store. QR code for Google Play Store.